Recharge tired eyes with Obagi ELASTIderm Eye Complete Complex Serum. 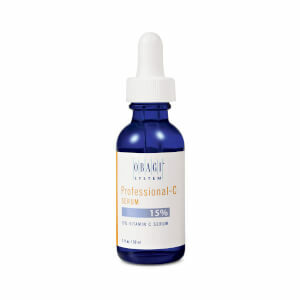 Obagi ELASTIderm Eye Complete Complex Serum is a unique formulation that is perfect for mature skin. This anti-aging eye serum helps to strengthen, firm and protect the delicate skin around the eye for a youthful, revitalized appearance. A bi-mineral complex helps to promote healthy collagen and elastin production while minimizing fine lines and fading the look of dark circles. The formula also contains caffeine to help alleviate under-eye puffiness and malonic acid to help exfoliate dulling dead skin cells. Look more awake and alert with Obagi ELASTIderm Eye Complete Complex Serum.